Committed to creating conversations across faith traditions and disciplines, the GTU produces pioneering leaders in teaching, research, and service who are prepared to engage the increasing complexities of a global society. We welcome your feedback! 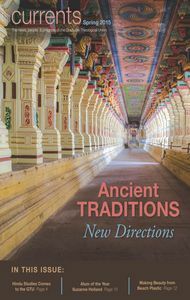 Please send comments, story suggestions, and address changes to currents@gtu.edu. 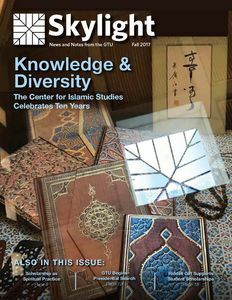 In this premier issue of our new GTU magazine Skylight, our lead feature spotlights the Center for Islamic Studies as it celebrates its 10th anniversary. 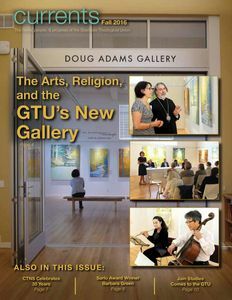 You'll also find articles from GTU faculty and students exploring scholarship as a spiritual practice, the nature of interreligious education, and much more, as well as new departments highlighting alumni news and art exhibitions at the GTU. Click the link below to read the Fall 2017 online edition of Skylight. Skylight is mailed twice a year to GTU alumni, donors, faculty, and students. Every year, many of the federal financial aid regulations are up for review and approval by the federal government. The government maintains the right to modify all Title IV federal student aid regulations at any time during the year should there be budgetary or regulation issues that need to be addressed immediately. The Financial Aid Office will be able to answer any specific questions regarding how these changes might or might not affect you and your financial aid award for the upcoming school year.